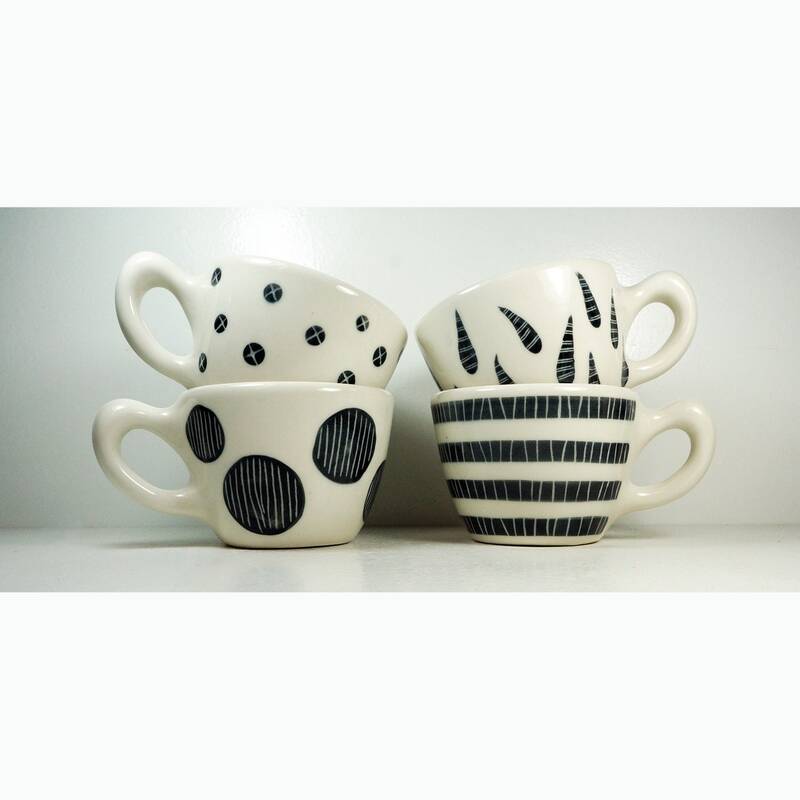 An attractive assortment of Small Batch 12oz cups simply finished in Black & White carved or painted motifs. Made to Order. 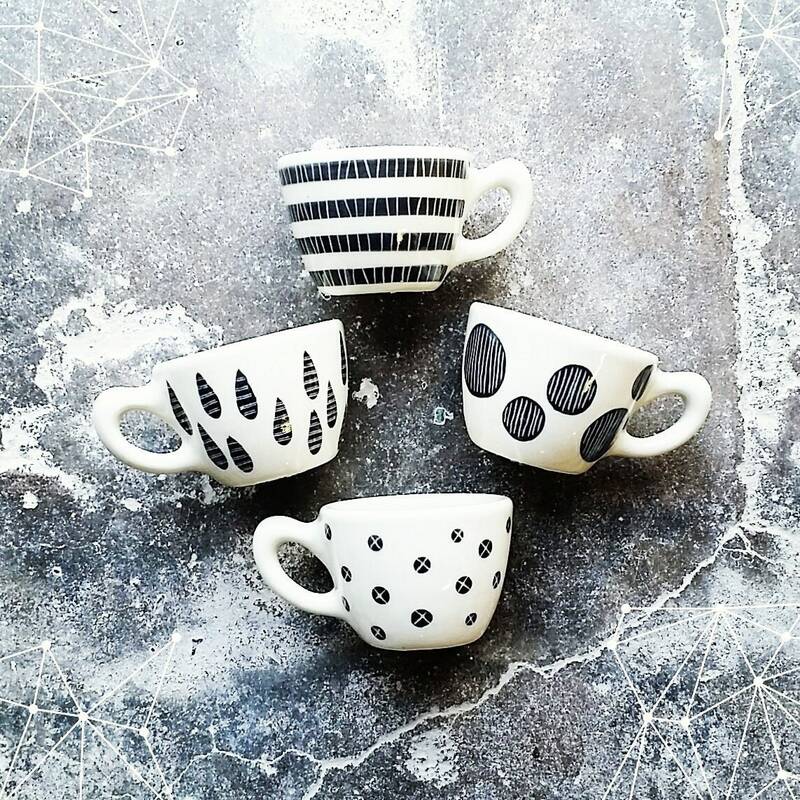 NEW, Cozy cups for your home this Fall! 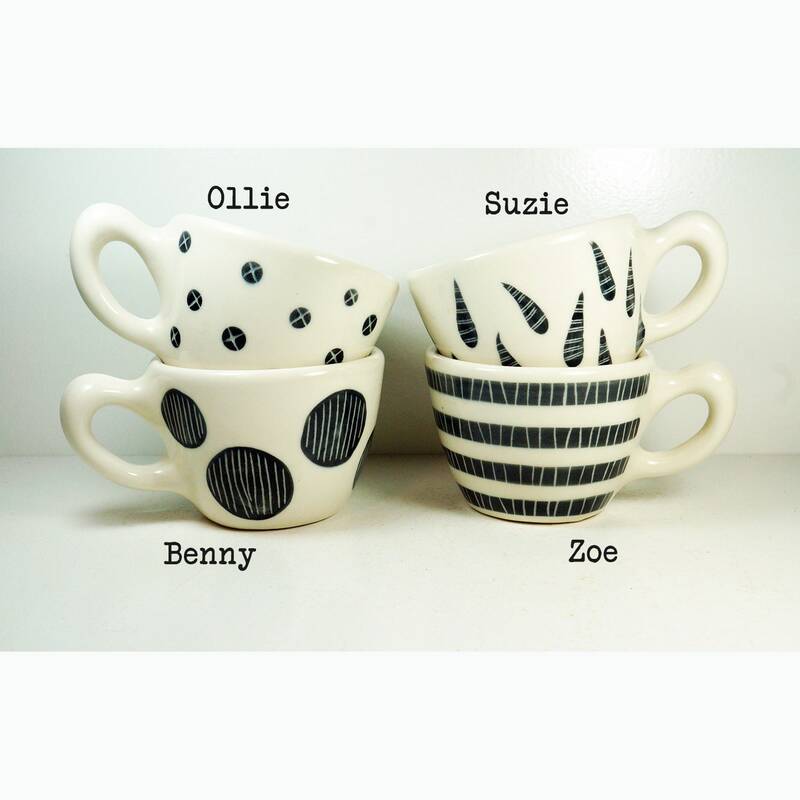 Picture yourself having a hot chocolate, tea or even soup from one of these delightful mugs. 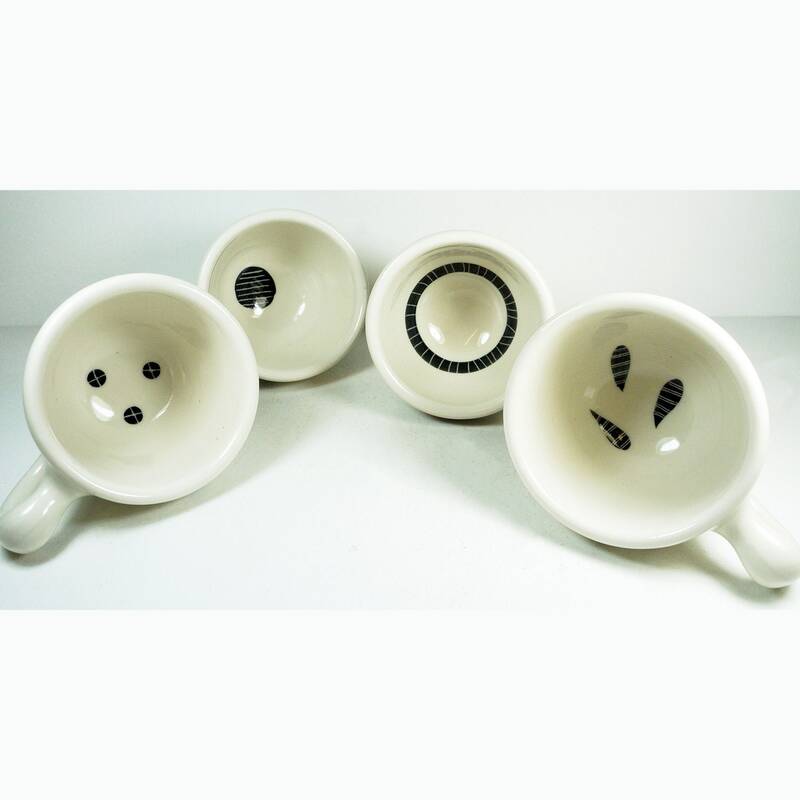 Remember, this is a MADE TO ORDER listing - Use the drop-down options for your print choice and glaze. Feel free to message with questions! 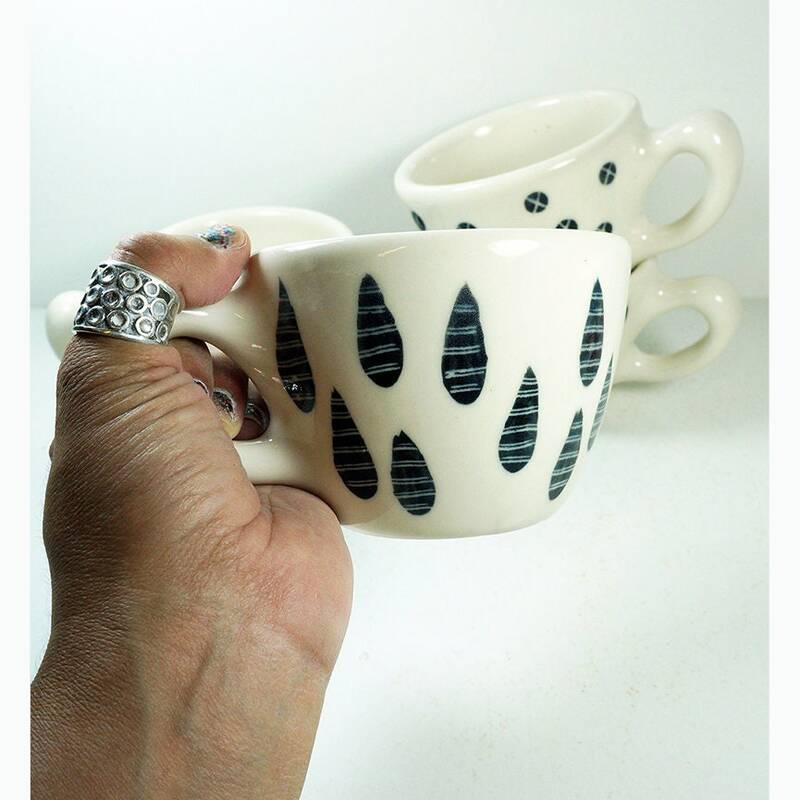 Simple carved 12oz cups - Easy to choose from, easy to use. Fits right in your hand, and if you have a couple, they stack nicely. Coffeehouse pro-tip: Pre-heated, they'll keep your hot drinks hot for a lot longer. My hand is in a picture - Use that as a size guide - I do not have man-hands (LOL) When in doubt, ALWAYS take a minute to MEASURE IT OUT with a ruler! Actual numerical measurement is below. 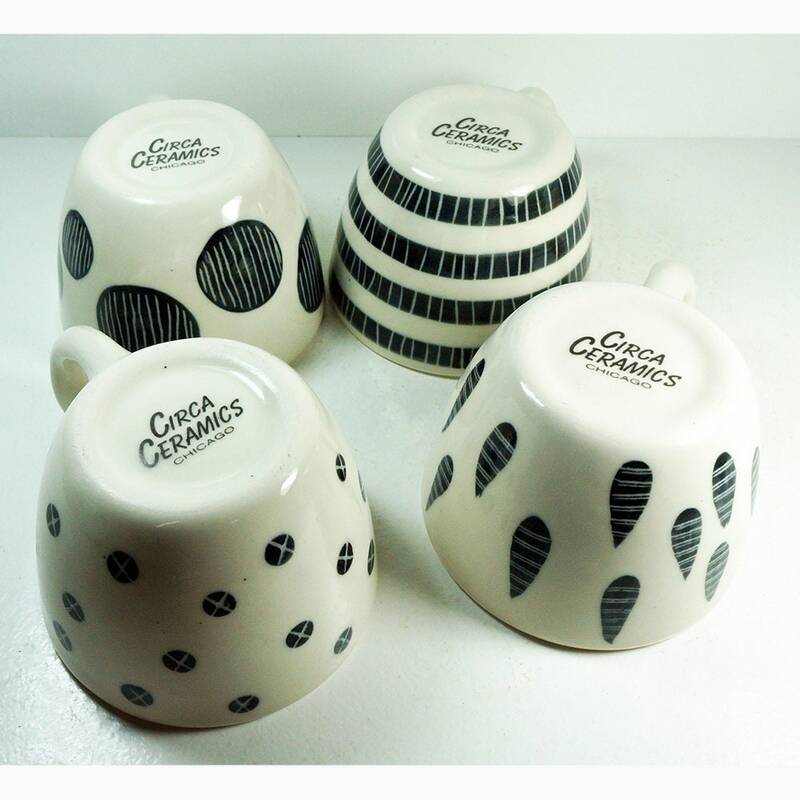 ► Yes, dishwasher safe! Food safe! Microwave safe! 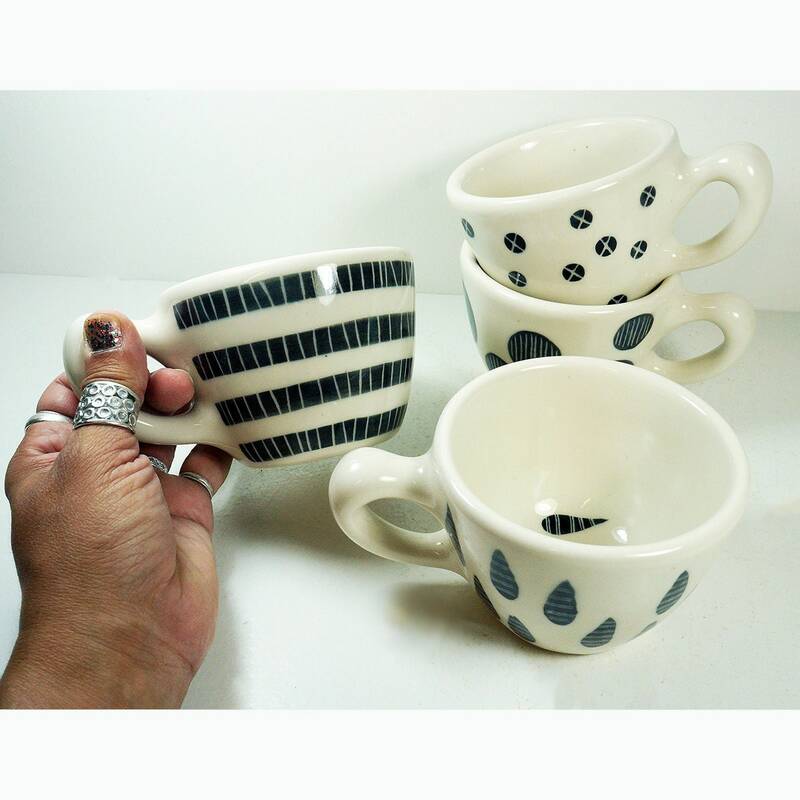 Made by hand in Chicago using porcelain clay, decorated by hand by either painting the designs on, painting + carving into the underglaze, or our standard which are hand-pulled decal prints placed upon our own handmixed glossy brightly colored glazes that we're known for. Our screenprinted images are fired into the glaze (making them indelible). Our brand logo is on the bottom/back of each piece so you know who made it and where it hails from.